The company starts in 2001 and since then it operates mainly in Europe. It has the license in Malta and is regulated by the Maltese gaming authorities. There are several benefits from that. On one side, each player can enjoy gambling tax-free no matter in which part of the continent he/she is. On the other hand, the specific regulations in Malta guarantee highly regulated and secure environment for bettors and companies. 24hBet is part of iGame Malta Inc., which has two main offices in Malta and Estonia. At the moment, there are 125 people working for the company. The licenses of the company are MGA/CL3/523/2008; MGA/CL1/523/2008 issued on 17 November 2009; MGA/CL1/865/2013 issued on 28 August 2013; MGA/CL1/1045/2014 issued on the 23rd December 2014; MGA/CL1/1046/2014 issued on the 15th of April 2015. Popularity among gamblers has increased as the company improved their website and the betting options. The odds, according to many clients of the company are high, and the design of the website is easy to use. The company offers betting on sports and also casino and poker games. 24HBet is part of a world betting community movement for responsible gaming which aims to help people with gambling problems to overcome them. Links to specialized websites where help is offered to such people can be found on the website of the company. Currently 24hbet.com closed down their betting services and they are no longer active bookmaker. 24hbet is an online booking company focused on the main and most popular sports on the continent at the moment. The big diversity is what they believe can attract a big number of players. They offer bets on football, ice hockey, tennis, basketball, e-sports, fighting, futsal, motor racing and many others. The online bookie offers casino games as well. They can separate into sections – slots, table games, video poker, poker, scratch cards and jackpots. 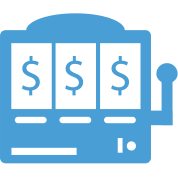 Live casino is another option for bettors. It includes live roulette – la partage and French roulette, automatic roulette and blackjack. Any client can take advantage of great jackpots and fantastic tournaments in the casino section of the website. 24hbet offer high resolution streaming with their live casino option. 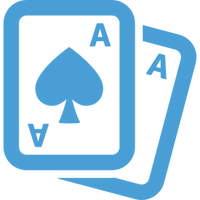 Each player can chat with dealers and players as well. Live betting with 24hBet is relevantly easy. Each bettor can pick the sport and see the live events at the moment. The different betting options are in a list aside. Where the sport allows it, the bookie offers live statistics for the match and old statistics for each team’s performance till the moment. With football that means the client can see the cards for players in both teams, the time when someone scores, and to follow the game action. Mobile betting is another alternative designed to ease the betting. A special mobile-friendly version of the website exists to ease the bettors. 1×2, double chance, Asian handicap, goals over under, 1×2 first half, 1×2 second half, 1×2 with a handicap, anytime goalscorer. Other options are double chance first half, first goalscorer, ht/ft, highest scoring half, matchmaker and totals, next goal, the number of goals, team corners over/under, team score over/under, to score in both halves, etc. These options are specific for football, but for the rest of the sports there are other betting options that any bettor can pick. Security is a major issue for every company that operates with money and uses the internet to do so. That is why most companies, 24hBet included, use SSL encrypted to protect the data of their clients. Modern technologies are used to protect the personal information of the clients as well. No employee or another staff is allowed to share personal information of the clients. Money transactions are also technologically protected. All these technical security measures are there to ensure the safety betting of each gambler. Personal information, however, may be disclosed to authorities or other institutions when there is an option to prevent crimes, or there are enough evidence for such. The information may also go to marketing partners. The website offers five different language variants – Norwegian, German, Swedish, Finish, Russian, English, The methods to contact the company are via e-mail or form and live chat. There are several ways to make a deposit in 24hBet and all of them are listed in a table so that everyone can see them. According to the method, the time to make a deposit can be different. The options hold true for withdrawals as well. However, with e-wallets up to 24h will be needed for the particular bettor to take his/her money. Credit cards take from 2 to 5 working days, and bank transfers take 3 to 7 working days. The currencies used can also be seen in the table. Currencies other than EUR are transferred into EUR according to the exchange rate and with added 0.5%. 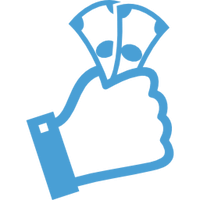 100% welcome bonus is what every new gambler with a deposit up to 50 EUR for sports bets can get. When the bettor refers a friend, this gets him/her 50 more EUR. Another welcome package in the casino gives up to 100% of the deposit or up to 100 Eur and 100 free spins. 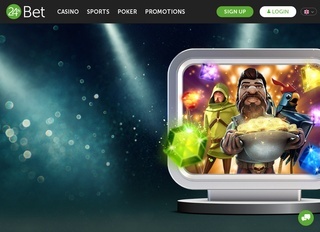 On the next deposit, the client gets 50% bonus or up to 100 Eur and 50 free spins. The third deposits again give 50% or up to 100 Eur and 150 free spins. In their poker section, each bettor can get 1000 EUR welcome bonus.